Do you remember how you felt at your graduation? No matter how you slice it, it’s a memorable moment. Even when you graduate from kindergarten. Some are lucky enough that, in such an exciting moment (i.e. just when the mind is more receptive, as a psychologist would say), they get to listen to the speech of an important guest. Someone who really has something to say. Someone who can influence their evolution. This happened in 2005 when the graduates of the prestigious Stanford University in California had the privilege to listen to Steve Jobs. At that time, Mac devices were back after passing to OS X a few years earlier, and iPods were on the roll. According to Laurenne, Steve Jobs’s wife, this speech was on the verge of being canceled, due to many unexpected reasons. Right that morning, Steve got up in an immense state of excitement. After modifying the speech several times, just when he was about to leave the house, Steve couldn’t find the car keys. Running out of time, the entire family got in the wife’s car. Just their luck that the stadium, where thousands of newly graduated students along with their families gathered, was only a 10 minute drive. When they were nearly there, they were stopped by a policewoman, because there was a traffic restriction. Normally, he would have had to show his passing-ticket received from the organizers, but it was nowhere to be found! The policewoman found it very suspicious that a casual dressed guy with three children in the back seat would deliver a speech at the great event, so she began to make inquiries. But everything was settled in the last minute 1)”Becoming Steve Jobs: The Evolution of a Reckless Upstart into a Visionary Leader” by Brent Schlender and Rick Tetzeli, book published by Crown Business in 2015. I am honored to be with you today at your commencement from one of the finest universities in the world. I never graduated from college. Truth be told, this is the closest I’ve ever gotten to a college graduation. Today, I want to tell you three stories from my life. That’s it. No big deal. Just three stories. Reed College, at that time, offered perhaps the best calligraphy instruction in the country. Throughout the campus every poster, every label on every drawer, was beautifully hand calligraphed. Because I had dropped out and didn’t have to take the normal classes, I decided to take a calligraphy class to learn how to do this. I learned about serif and sans serif typefaces, about varying the amount of space between different letter combinations, about what makes great typography great. It was beautiful, historical, artistically subtle in a way that science can’t capture, and I found it fascinating. None of this had even a hope of any practical application in my life. But 10 years later, when we were designing the first Macintosh computer, it all came back to me. And we designed it all into the Mac. It was the first computer with beautiful typography. 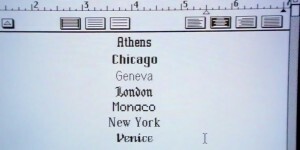 Steve Jobs exaggerates, wittily, when he says that sophisticated fonts would “never” have been used on personal computers if it weren’t for these favorable circumstances. Things bounded together, but the concept was too well-known not to expect that anyone could take the idea of applying it on a computer. But the truth is that Steve Jobs had an extraordinary flair for the marketing of concepts at the right time. It is very likely that this was the deciding factor of his success, along with his eye for details. This happened with iPad, iPhone, and many others. Different versions were made by others before, but not with the same success. It wasn’t the right time for them. 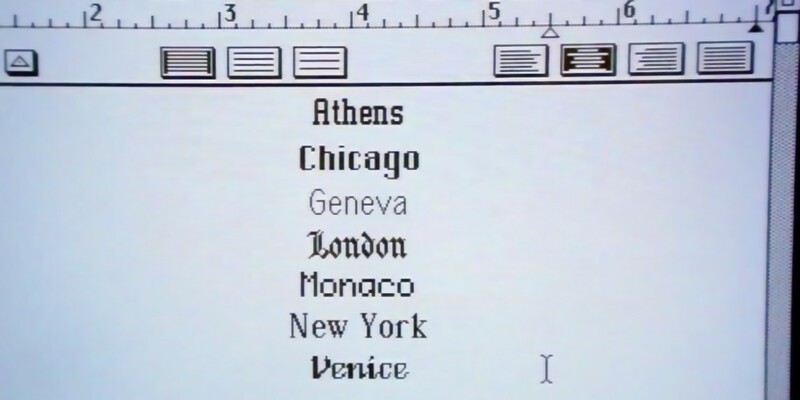 If I had never dropped in on that single course in college, the Mac would have never had multiple typefaces or proportionally spaced fonts. And since Windows just copied the Mac, it’s likely that no personal computer would have them. If I had never dropped out, I would have never dropped in on this calligraphy class, and personal computers might not have the wonderful typography that they do. Of course, it was impossible to connect the dots looking forward when I was in college. But it was very, very clear looking backward 10 years later. Again, you can’t connect the dots looking forward; you can only connect them looking backward. So you have to trust that the dots will somehow connect in your future. You have to trust in something — your gut, destiny, life, karma, whatever. I was lucky — I found what I loved to do early in life. 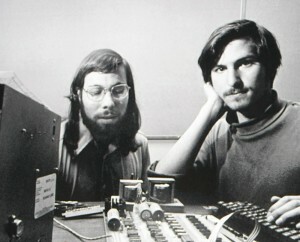 Woz and I started Apple in my parents’ garage when I was 20. We worked hard, and in 10 years Apple had grown from just the two of us in a garage into a 2 billion dollar company with over 4,000 employees. 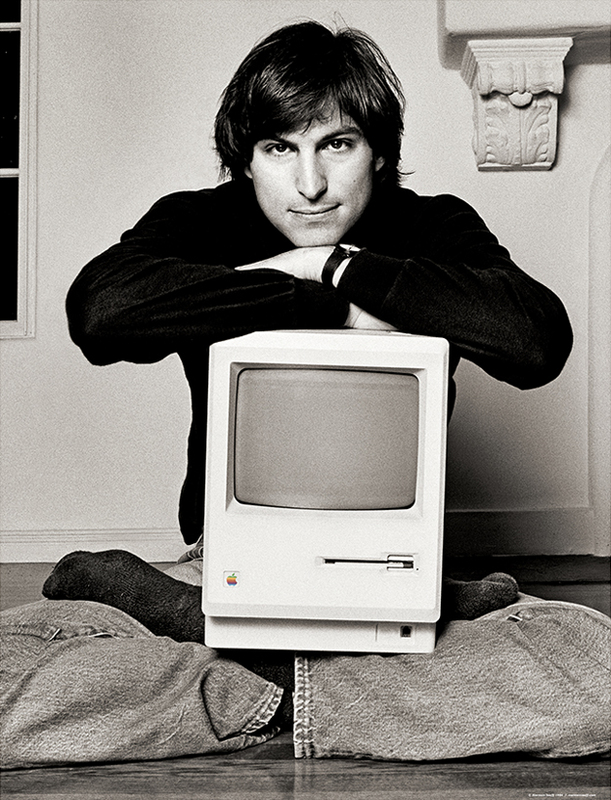 Steve Jobs in 1984, with the first Macintosh, computer that widely introduced complete graphical interface and mouse; after a year and a half, Steve Jobs was practically fired from Apple. We had just released our finest creation — the Macintosh — a year earlier, and I had just turned 30. And then I got fired. How can you get fired from a company you started? Well, as Apple grew, we hired someone who I thought was very talented to run the company with me, and for the first year or so things went well. But then our visions of the future began to diverge and eventually we had a falling out. When we did, our Board of Directors sided with him. So at 30 I was out. And very publicly out. What had been the focus of my entire adult life was gone, and it was devastating. When he said that he decided to leave Silicon Valley, Steve Jobs wasn’t joking. He was so mad that he even thought of moving to Soviet Union. Moreover, he wanted to leave Earth: he tried to join NASA as a civil astronaut, but he wasn’t accepted 2)”Becoming Steve Jobs: The Evolution of a Reckless Upstart into a Visionary Leader” by Brent Schlender and Rick Tetzeli, book published by Crown Business in 2015. Consciously or not, Steve Jobs emphasizes on the fact that he got taken away. Perhaps that’s why the leadership of Apple had lost confidence in him. But when too much pride gets the better of you, it’s only fair that life will start mopping the floor with you. Steve Jobs did not found Pixar from the ground. He bought, from Lucasfilm for $10 million, The Graphics Group – a digital graphics department. But he had a vision – a great one. It was the time for digital cartoons to fill the cinema theaters. After two decades of success, Disney acquired Pixar in 2006 for $7.6 billion dollars 3)”The Steve Jobs Way: iLeadership for a New Generation” by Jay Elliot and William L. Simon, book published by Vanguard Press in 2012, as share exchanges. The results will astound you: Steve Jobs has become the main shareholder of Disney, with about 7% of the shares! This is a much more profitable business than what he gained from Apple. During the next five years, I started a company named NeXT, another company named Pixar, and fell in love with an amazing woman who would become my wife. Pixar went on to create the world’s first computer animated feature film, Toy Story, and is now the most successful animation studio in the world. In a remarkable turn of events, Apple bought NeXT, I returned to Apple, and the technology we developed at NeXT is at the heart of Apple’s current renaissance. Plus, Laurene and I have a wonderful family together. I’m pretty sure none of this would have happened if I hadn’t been fired from Apple. It was awful tasting medicine, but I guess the patient needed it. Sometimes life hits you in the head with a brick. Don’t lose faith. I’m convinced that the only thing that kept me going was that I loved what I did. You’ve got to find what you love. And that is as true for your work as it is for your lovers. Your work is going to fill a large part of your life, and the only way to be truly satisfied is to do what you believe is great work. And the only way to do great work is to love what you do. If you haven’t found it yet, keep looking. Don’t settle. As with all matters of the heart, you’ll know when you find it. And, like any great relationship, it just gets better and better as the years roll on. I lived with that diagnosis all day. Later that evening I had a biopsy, where they stuck an endoscope down my throat, through my stomach and into my intestines, put a needle into my pancreas, and got a few cells from the tumor. I was sedated, but my wife, who was there, told me that when they viewed the cells under a microscope the doctors started crying because it turned out to be a very rare form of pancreatic cancer that is curable with surgery. I had the surgery and I’m fine now. Unfortunately, Steve Jobs’ hope was not fulfilled. His cancer relapsed after a short while. Many experts believe that the reason is the postponing of surgery for nine months while searching for an alternative treatment. 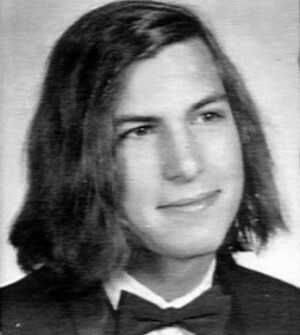 That’s why, on October 5, 2011, Steve Jobs died. Somehow, this confirms what he said: you don’t know how long you have to live, so you better enjoy every day of your life. No one wants to die. Even people who want to go to heaven don’t want to die to get there. And yet, death is the destination we all share. No one has ever escaped it. And that is as it should be, because Death is very likely the single best invention of Life. It is Life’s change agent. It clears out the old to make way for the new. Right now the new is you, but someday not too long from now, you will gradually become the old and be cleared away. Sorry to be so dramatic, but it is quite true. 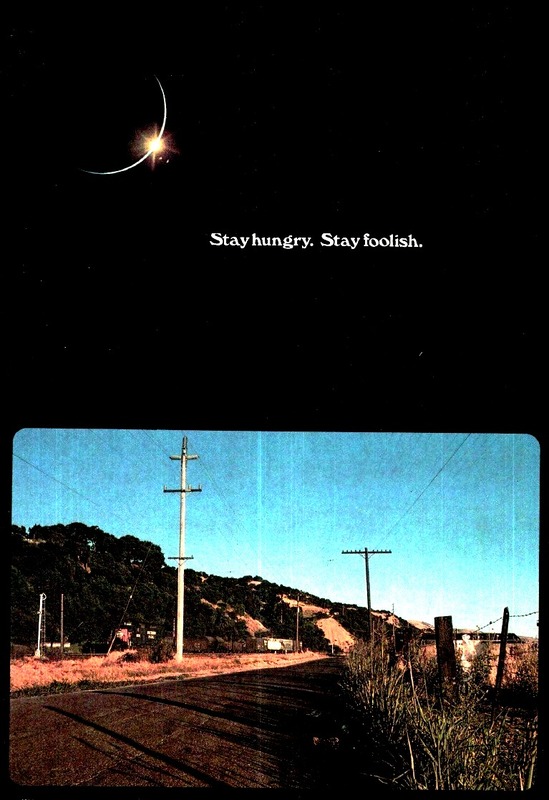 Stewart and his team put out several issues of The Whole Earth Catalog, and then when it had run its course, they put out a final issue. It was the mid-1970s, and I was your age. On the back cover of their final issue was a photograph of an early morning country road, the kind you might find yourself hitchhiking on if you were so adventurous. Beneath it were the words: “Stay hungry. 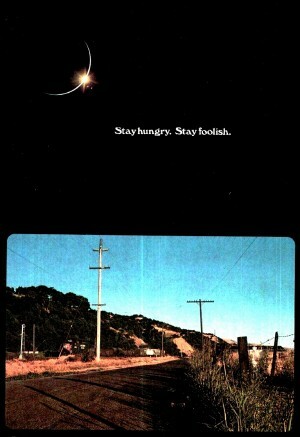 Stay foolish.” It was their farewell message as they signed off. “Stay hungry. Stay foolish.” And I have always wished that for myself. And now, as you graduate to begin anew, I wish that for you.